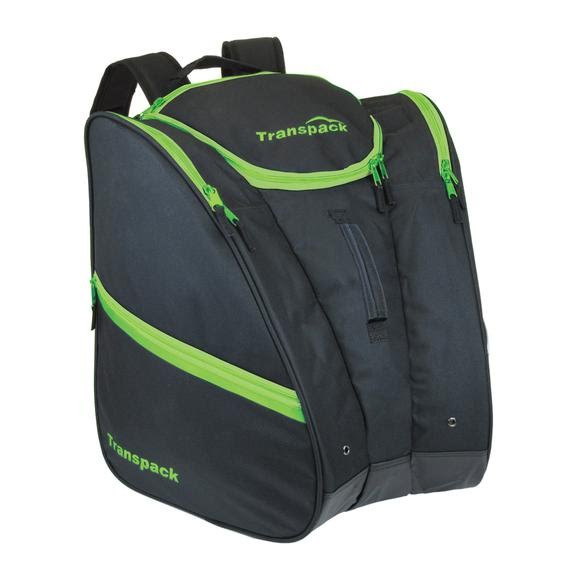 Transpack's extra large classic seris Cargo Boot Bag keeps volumes of your skiing equipment organized and protected during transport utilizing ultra durable materials and state of the art design. Transpack &apos;s extra large classic seris Cargo Boot Bag keeps volumes of your skiing equipment organized and protected during transport utilizing ultra durable materials and state of the art design. Two sided pockets hold boots surrounding a large central compartment that accomodates a helmet and gear. Weight nad bulk from boots are diverted to the sides and away from your back creating a natural suspension that ergonomic and comfortable.